The FCA Americas team represents Finn Church Aid within the United States. We raise funds and build partnerships to support the sustainability of FCA's projects and partners throughout Africa, Asia and the Middle East. We believe that collaboration and coordination across the sector is also imperative for collective impact, and work to build strong relationships with both US-based donors and peer organizations to effectively resource each partner’s respective strengths and achieve greater results for the people we assist worldwide. FCA Americas was established as a representation office in Washington, DC in 2015. We are a 501(c)(3) not-for-profit organization. A copy of our IRS tax-exemption certification is available here. 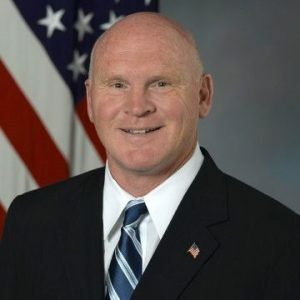 Kevin Wensing is a leader in the military and veteran community advising organizations and companies following 30-years of service to America in the US Navy and the Pentagon. He planned/executed Vietnam War Commemoration opening ceremonies with President Barack Obama and other leaders on Memorial Day 2012 with an audience of thousands of Veterans and a national television audience. He works with various enterprises ranging from business development and fundraising to special events and media relations. Assignments at sea and ashore include Special Assistant to Deputy Secretary of Defense Gordon England at the Pentagon and leadership positions with the Secretary of the Navy, Pacific Fleet, Seventh Fleet, Naval Forces Central Command and service aboard USS Blue Ridge, USS Arthur W. Radford and USS Tripoli. He is a graduate of Quincy University (IL) and Naval War College. 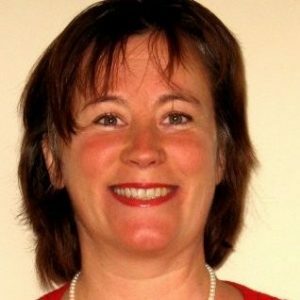 Marja Jörgensen is the Director of International Programs (IPRO) at Finn Church Aid (FCA). Prior to October 2016, she served as FCA's Director of Program and Organizational Development and was responsible for strategy processes, program quality and effectiveness, annual planning & reporting, risk management, and assists FCA in acquiring membership status at Core Humanitarian Standard. She has extensive experience in NGOs, having engaged with organizations such as Greenpeace, the Finnish Children and Youth Foundation and the 4H Organization in Tanzania. 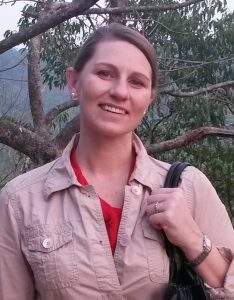 Before working for FCA, Marja was Regional Program Director in Eastern and Southern Africa for Plan International and was responsible for quality assurance of 12 programs in Africa. Marja has worked in Eastern Africa for ten years, in addition to serving as Program Director for Plan Finland for seven years. 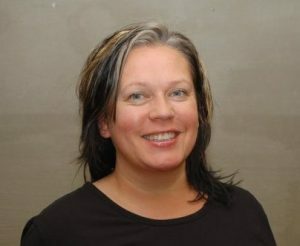 Ritka Heino is the Director of Funding and Communications at Finn Church Aid (FCA). Heino is a member of FCA’s management team, which leads the work of the 45 million euro organization working for development and humanitarian aid. Her main priorities include strategic planning of the organization’s global and domestic funding, leading the organization’s communications and volunteer work, and planning innovative collaborative strategies with institutions and corporations. Her previous professional experience includes working for Amnesty International as well as in the ICT and banking sectors. Heino graduated from Helia Business University at 1998, and she has studied later on political sciences and futures studies, completing Turku University basic studies of the futures sciences, as well as Institute of the Future, Palo Alto based future studies institute diploma of future practitioner. Heino is a board member of FCA Americas (Washington DC) and a board member of FCA Investments Ltd.
Dr. Jeni Gamble is the Field Education Director and a Clinical Assistant Professor at the School of Social Work at West Virginia University. She has spent more than 20 years working to improve policies, systems, and services for the most marginalized and vulnerable throughout the US and globally, including survivors of gender-based violence, marginalized children and youth, and those experiencing homelessness. Gamble earned a BA from the University of Kentucky, and MSSW and PhD degrees from the University of Louisville in Social Work. Her doctoral research captured the backgrounds and behaviors of nonprofit leaders in seven North American cities to better understand the opportunities and challenges the NGO sector will face during leadership transitions in the future. Gamble’s earlier career focused on eliminating gender-based violence and improving criminal justice and victim service programs, including leading technology projects and advocacy campaigns across the US to institute and improve civil and criminal victim notification services. From 2010 – 2018, she worked in the Washington, DC area and focused on global and girls’ education policy, practice, and research. She served as the Associate Director of the Center for Universal Education (CUE) at the Brookings Institution, where she accelerated the policy priorities of one of Brookings’ fastest growing research centers and developed CUE’s girls’ education research portfolio. While at Brookings she advised dozens of scholars and country leaders and contributed to various public sector safety and education plans, including the United States Global Strategy To Empower Adolescent Girls (2016), as well as co-chairing the Girls CHARGE collaborative of more than 60 global organizations and overseeing the Echidna Global Scholars program. 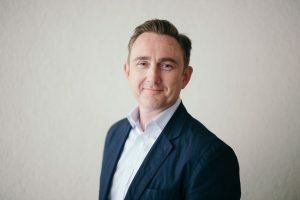 Gamble has held leadership positions with organizations including the National Alliance to End Homelessness and Discovery Learning Alliance, and consulted to numerous organizations around strategic planning, monitoring and evaluation, and organizational growth. 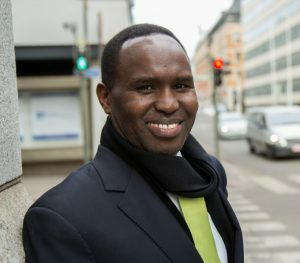 Matthew is the U.S.-based Director of Finn Church Aid (FCA), Finland’s largest international development agency and humanitarian provider focusing on the right to quality education, livelihoods and peace. 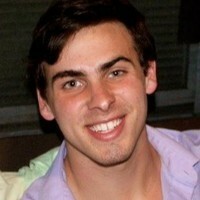 Mr. Costello leads the organization’s external relations, fundraising, and advocacy efforts in Washington, DC. Previously, Mr. Costello was the Director of Operations at the Brookings Institution where he served as an advisor to the Vice President and Chief Operating Officer on institutional management, administrative and operational matters. Additionally, in his role as Director, he oversaw all of Brookings’s capital improvement projects, conference services and facilities operations, food service providers, and organizational space planning. During his nine-year tenure at Brookings, he also served as the Deputy Director of Operations and Strategic Partnerships Director and Board Relations Manager. Prior to joining Brookings, Mr. Costello worked for Conservation International (CI), a non-profit international environmental organization, for six years in various leadership positions. During his tenure, he primarily served as an adviser and project manager for the CEO and Chairman of the Board as well as the liaison between the Chairman and CI’s 34-member Board comprised of CEOs of multinational corporations, celebrities, academics and international conservationists. Prior to working for the Chairman, he served as special events coordinator, managing the organizations Board of Directors meetings and multi-million dollar fundraising events. From 1998-2000, Mr. Costello gained invaluable experience in consumer promotions, marketing strategy and business-to-business marketing development as the international project coordinator for the Texas Department of Economic Development—now the Economic Development and Tourism Division, Office of the Governor. There, he liaised with convention and visitor bureaus from around the State; wrote copy for advertising buys and press releases; and handled press inquiries from senior representatives of Latin American travel trade and consumer media publications. Matthew received his bachelor’s degree in International Studies from Texas A&M University. He lives in Washington, DC with his husband, Alex. Dr. Mohamed Elsanousi is the Executive Director of the Network for Religious and Traditional Peacemakers, a global network that builds bridges between grassroots peacemakers and global players to work towards sustainable peace. Most recently, Dr. Elsanousi was the director of Community Outreach and Interfaith Relations for the Islamic Society of North America for twelve years. He also served on the Core Group Taskforce for the Department of State's working group on Religion and Foreign Policy under Secretary Clinton and Kerry, which he was charged with making recommendations to the Secretary of State and the Federal Advisory Commission on how the US government can better engage with civil society and religious actors. Dr. Elsanousi holds a bachelor’s degree in Shariah and Law from the International Islamic University in Islamabad, Pakistan, a Master of Laws from Indiana University, a graduate diploma in philanthropic studies from the Indiana University Center on Philanthropy, and a Ph.D. in Law and Society from the Indiana University School of Law. Dr. Elsanousi is the Founding co-chair of Shoulder to Shoulder, and serves on the board of directors and advisors for numerous interfaith organizations, including the Advisory Board of Louis Finkelstein Institute and Milstein Center for Interreligious Dialogue at the Jewish Theological Seminary in New York City, member of the Advisor Committee for the United Nations Office of the Special Advisor on the Prevention of Genocide and Responsibility to Protect and a trustee for the Forum for Promoting Peace in Muslim Societies and the Parliament of the World’s Religions. 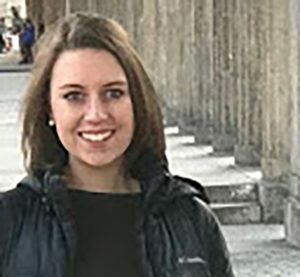 Eliza Duquette manages FCA Americas’ fundraising efforts and develops opportunities in partnership with FCA’s global grants team and country offices. She comes from seven years of fundraising and business development for both international and US-based organizations, including her most recent role as donor relations specialist at Communities In Schools. Earlier in her career, Eliza was awarded a one-year fellowship to teach, develop programming, and grow new business for The Global Child in Siem Reap, Cambodia. She launched a girls’ health course and helped to increase business traffic and revenue for the NGO’s two social enterprises. Eliza holds a BA in Anthropology and Digital Arts from Union College. In her free time, Eliza is a dancer, amateur graphic designer and aspiring rock climber. She is conversational in German, Spanish and Khmer. Josh was born and raised in Upstate New York and spent most of his life in the Buffalo, NY region. He received his undergraduate degree in political science from Union College, earning the honor of salutatorian. He is very passionate about model united nations and was involved in the National Model United Nations program for four years. During this time, he ran his college’s chapter of the organization and served as a head delegate and teaching assistant during the annual international conference in New York City. Professionally, Josh was a political science research fellow at Union College and studied trends related to state-fragility and gender rights in West Africa. Following his time as a fellow, he worked on two American political campaigns for the Orchard Park Town Supervisor and NYS Supreme Court respectively. His campaign experience motivated him to work for Rep. Barbara Lee on Capitol Hill, in which he focused on issues pertaining to US aid in Sub-Saharan Africa. After his time on the Hill, Josh moved to New York City and worked as the Operations Coordinator at Run for America, an organization that vetted and managed the campaigns of political candidates across the country. 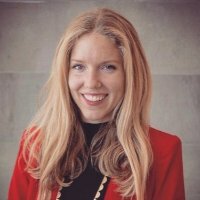 Sarah Tyler is the communications coordinator for the Network for Religious and Traditional Peacemakers. She brings to the Network professional experience in public relations, public affairs and international relations. Sarah is a recent graduate of Queens University of Belfast with a master's degree in international relations. Her focus area of study while at Queens University pertained to United States public diplomacy and global security. Sarah holds an undergraduate degree in communication from Millersville University of Pennsylvania.